Maradona, currently coaching Mexican second division club Dorados. Diego Maradona has been discharged from a Buenos Aires clinic to convalesce at home after surgery for a gastric hemorrhage overnight, his lawyer Matias Morla said on Sunday. The Argentina legend, now 58, was discovered to have minor stomach bleeding during a medical last week. "Diego Maradona is out of hospital and will continue his recovery at home," Morla said on Twitter. 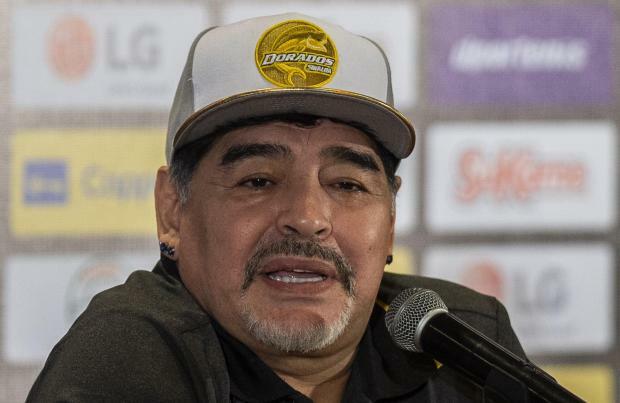 Maradona is currently coaching Mexican second division club Dorados. In his playing days he carried Argentina to World Cup victory in 1986 and led Napoli to Serie A titles in 1897 and 1990.